Long Island native Jacquelyn Frank is currently living in Asheville, North Carolina with her daughter and nine cats. She writes steamy paranormal romances. Since the age of 13 she has been writing romantic fiction and has become a bestselling author. She also writes fantasy/paranormal/futuristic erotica under the pseudonym Jax. 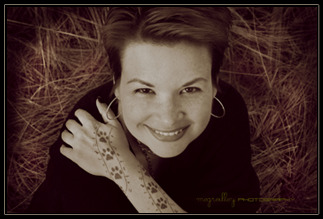 She is a former American Sign Language interpreter and substitute teacher. She is a strong advocate for literacy and is known for her gifts of books to her nieces and nephews, as well as for other children in her life. Other personal causes include animal cruelty, child abuse and fibromyalgia.